The Edelrid Huascaran Harness is specifically designed for alpine climbing and ski mountaineering, and is incredibly comfortable and lightweight. Although built and featured for the alpine ground, the Huascaran behaves as well as a lightweight sport climbing harness for your hardest projects. Although built and featured for the alpine ground, the Huascaran behaves as well as a lightweight sport climbing harness for your hardest projects. It’s been specially built with buckles on the leg loops, so that you can put it on and take it off without having to remove your skis or crampons. Perfect for glacial travel, this versatile harness is incredibly lightweight thanks to it's splitwebbing material structure around the waistbelt, making it super comfortable and breathable. It's also incredibly easy to use, given it's ultrasonically welded webbing ends meaning that the buckles are easy to thread, even with gloves and cold hands. 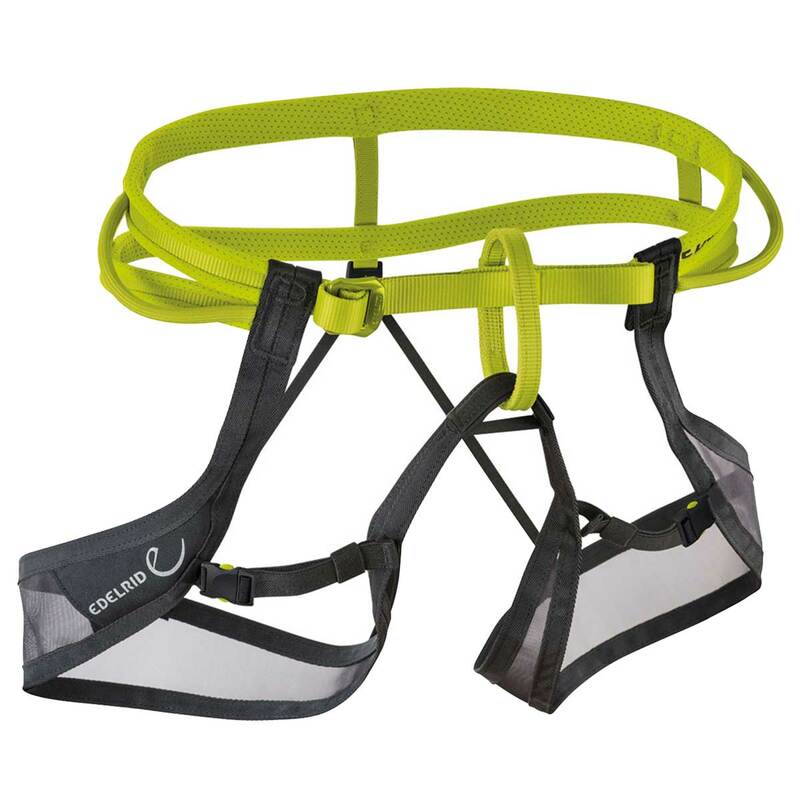 This minimal, lightweight harness also is equipped with two flexible gear loops and two attachment points for ice screw clips.